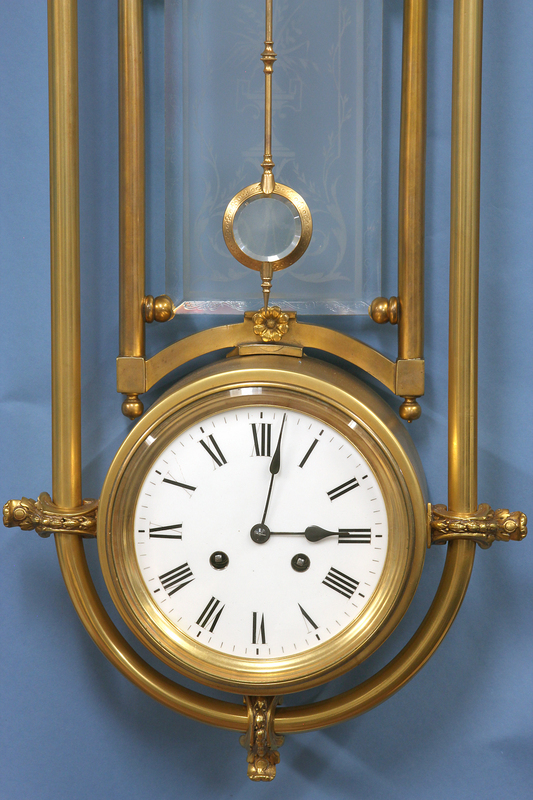 c.1875 Rare Guilmet Mystery Wall Clock. 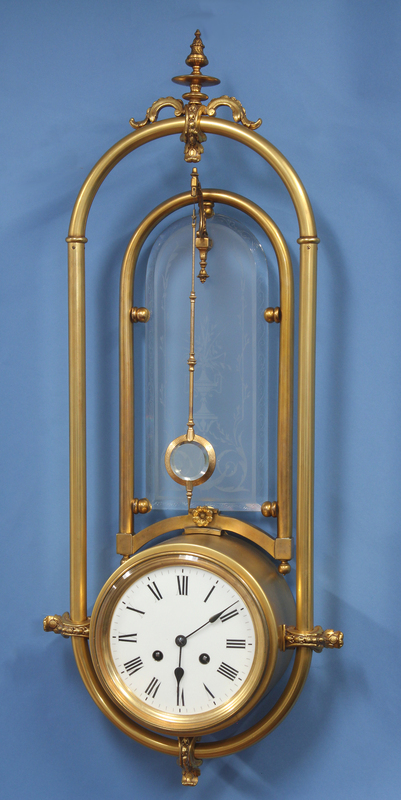 An exceptionally rare late 19th century wall mounted mystery clock by the noted maker A.R. Guilmet. 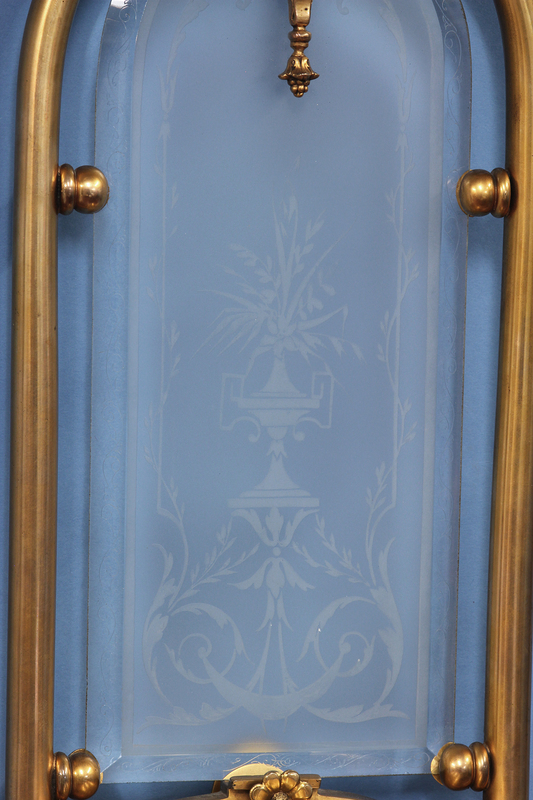 In this version the statue is replaced with a beveled glass that is frosted and etched and fitted to a frame that is impulsed by the movement below. 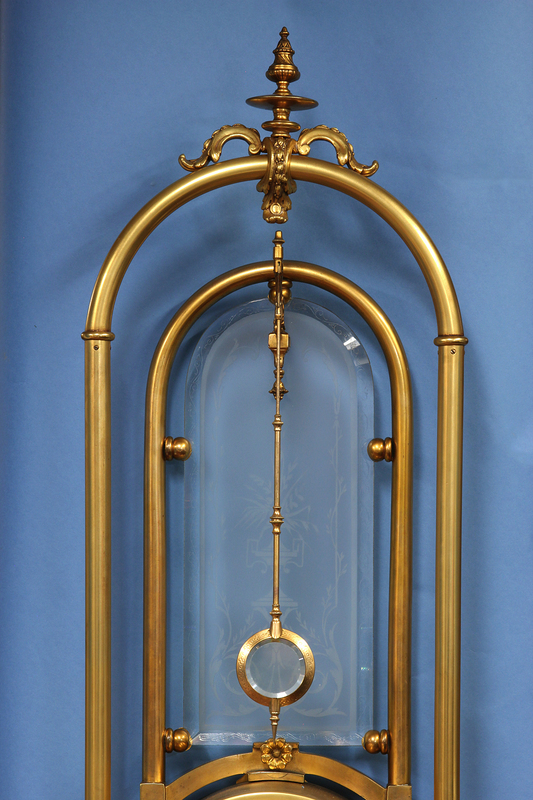 The gilt-bronze case is composed of two elongated multi-piece tubular frames each adorned with decorative mounts. 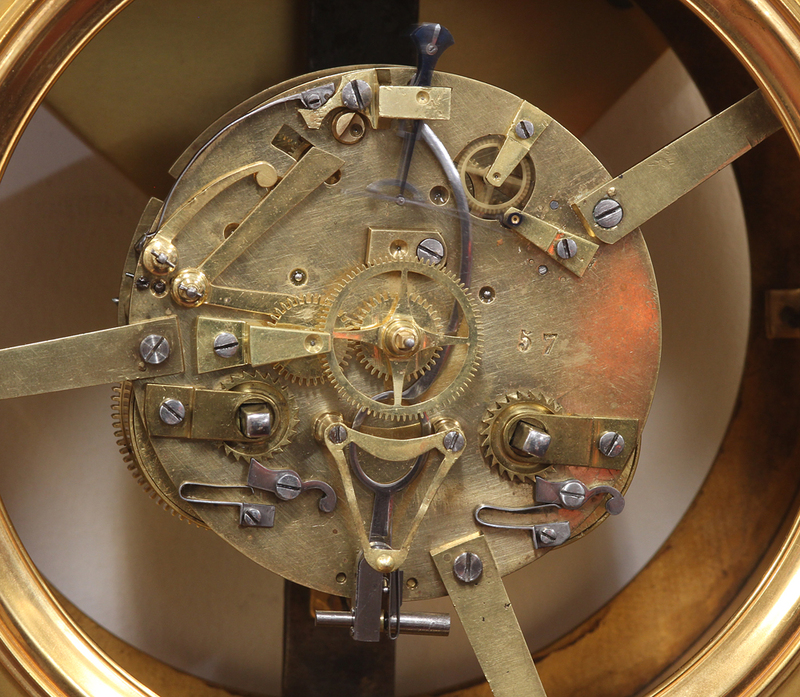 While the front frame is purely decorative, the rear oscillates and is an integral part of the timekeeping. 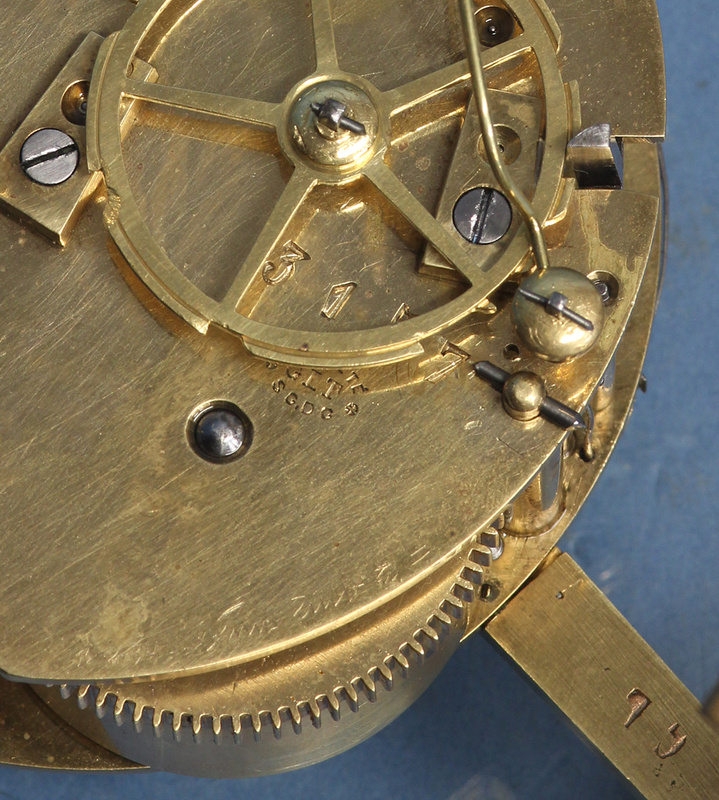 The white porcelain dial has Roman numerals for the hours and steel-cut spade hands. The backside includes ‘3157’ in ink. The front was restored about 20 years ago. 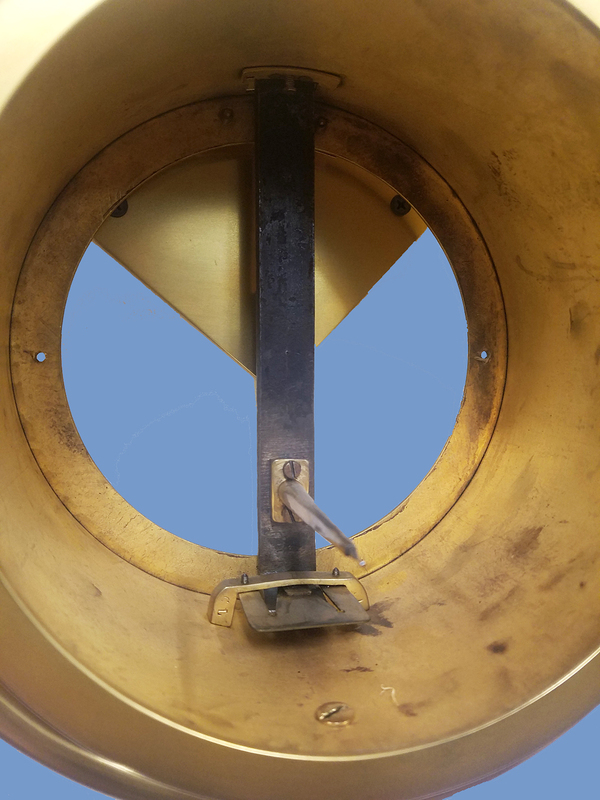 Suspended from the beveled glass panel is a multi-piece Guilmet pendulum with a split beveled bob. 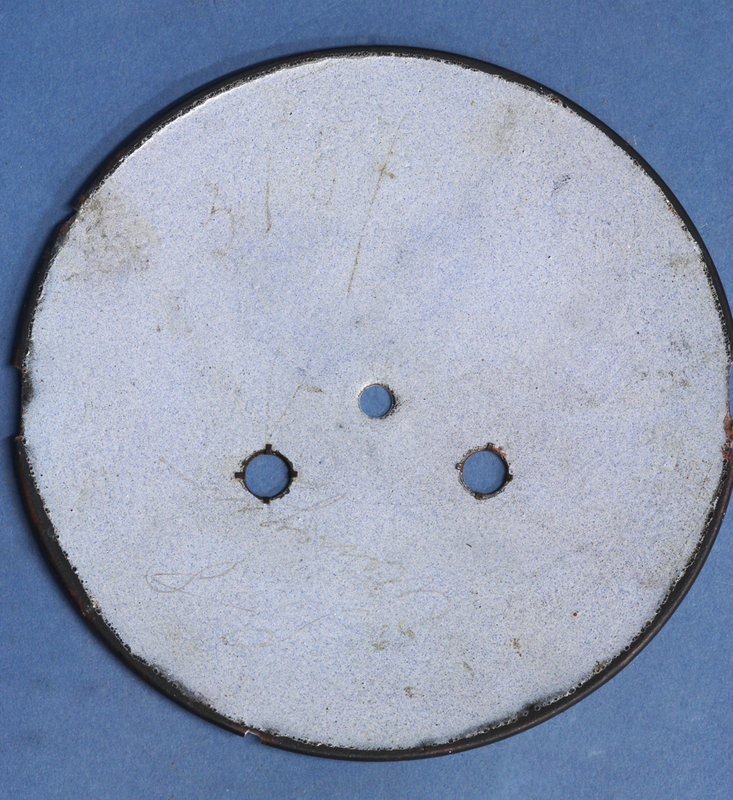 In 1874 A. R. Guilmet was granted a certificate of addition for his 1867 patent. 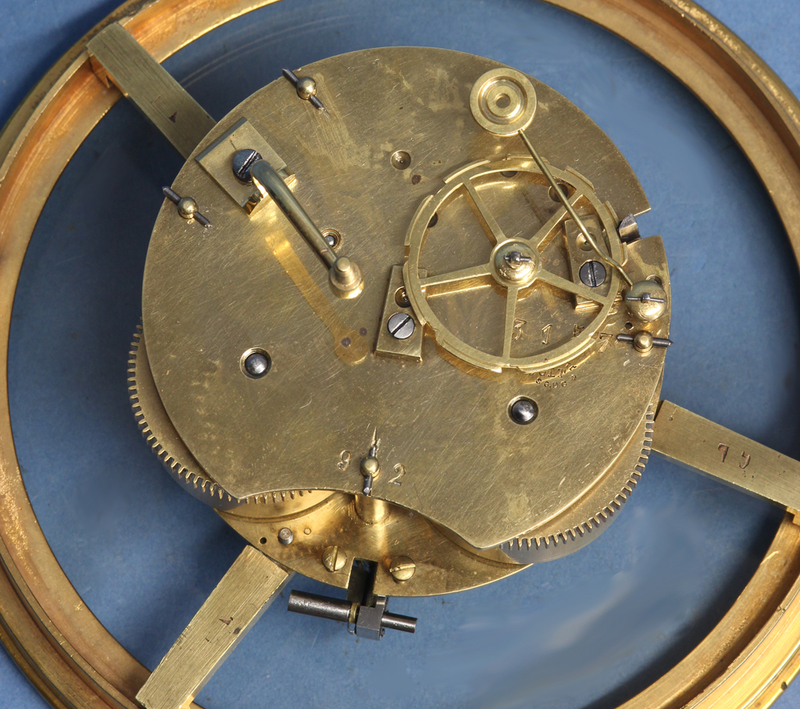 The pendulum was now suspended from a glass plate, but was impulsed in the same way as the statue clocks. 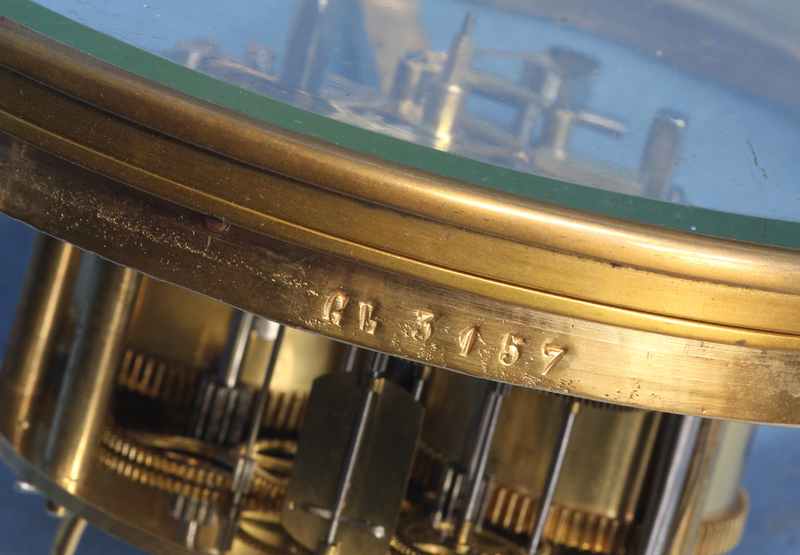 For a video of it running see: Guilmet mystery clock. For additional information on Guilmet see: ‘Mystery, Novelty and Fantasy Clocks’ by Roberts, Chapter 21, pg.241. For copies of his patents including the 1874 Certificate of Addition see: Roberts, Appendix 2, pg. 275. 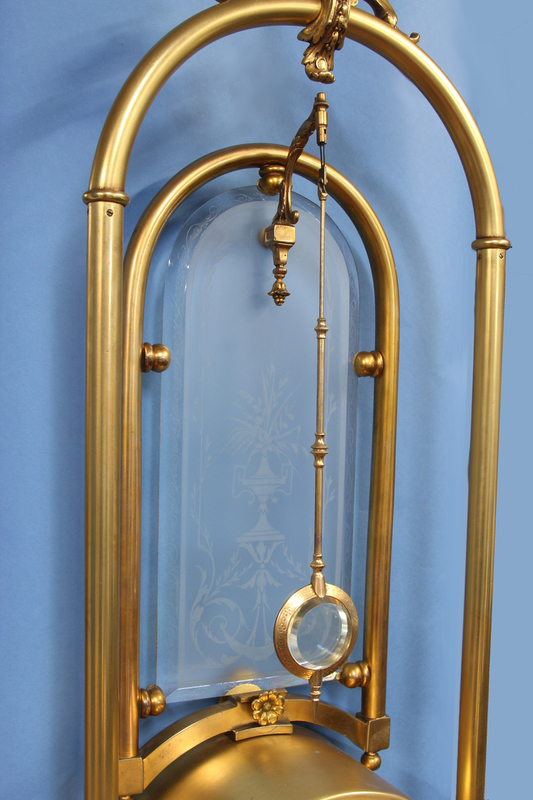 For a very rare mantle clock version incorporating the pendulum suspended from a plate glass see: Sothebys, Meraux Collection, 1993, lot 143.